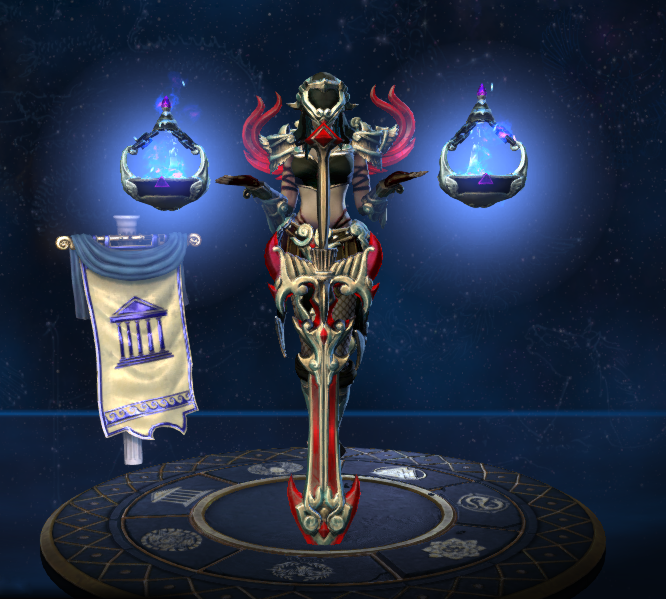 Nemesis is Nyx daughter and is Thanatos sister. 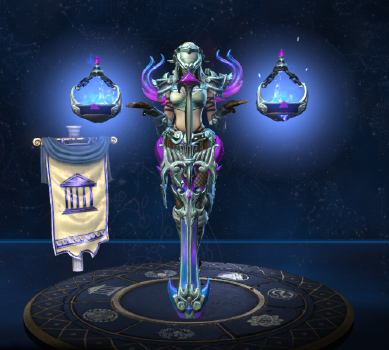 This is one of the few Tier 2 skin with custom ability effects. 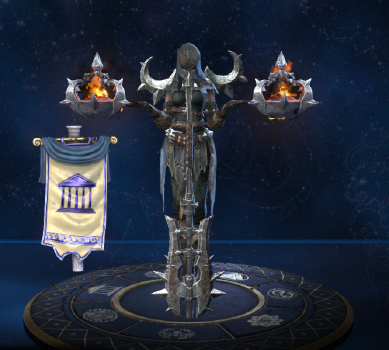 The Arena map can be seen in the background of this skin card art. 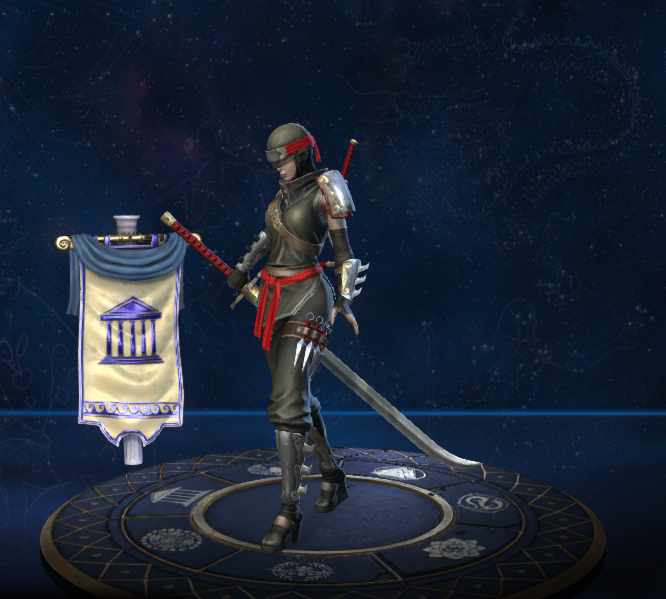 This skin is based on a Ninja. One of this skin's jokes, "Has anyone been able to find Hidden Leaf Village? 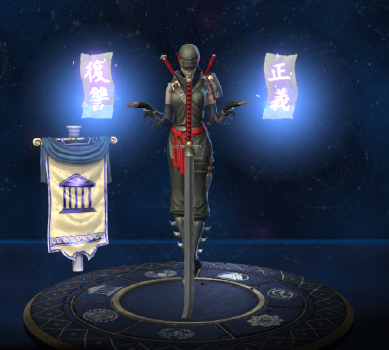 ", is a reference to the Japanese manga and Anime series Naruto. 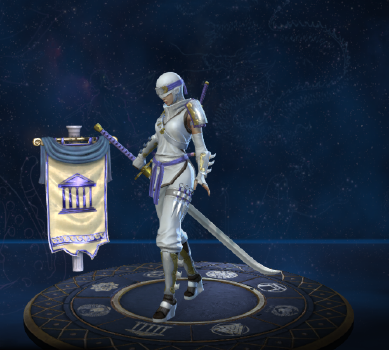 One of this skin's taunts, "I'm the white void, I'm the cold steel, I'm the just sword! 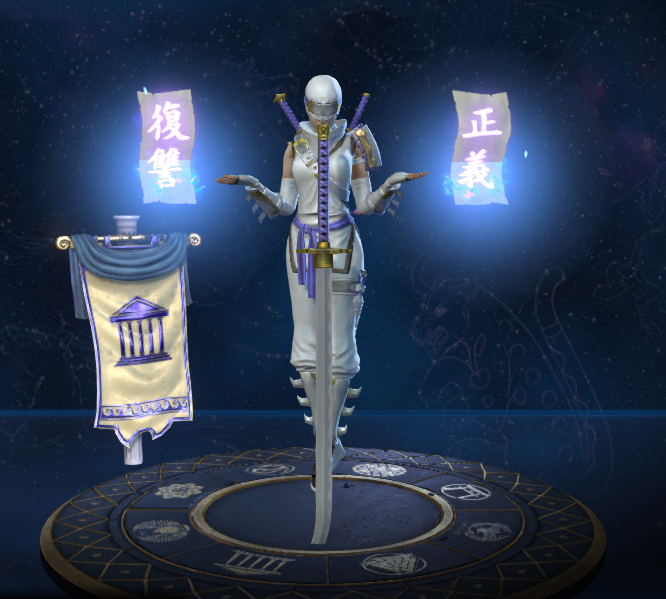 ", is a reference to the character Hakumen from the BlazBlue fighting game series. This skin share it's theme with Shino-bo Kuzenbo, Kunoichi Serqet and Shinobalanque Xibalanque. This skin is based on the mobile game made by Hi-Rez Jetpack Fighters. 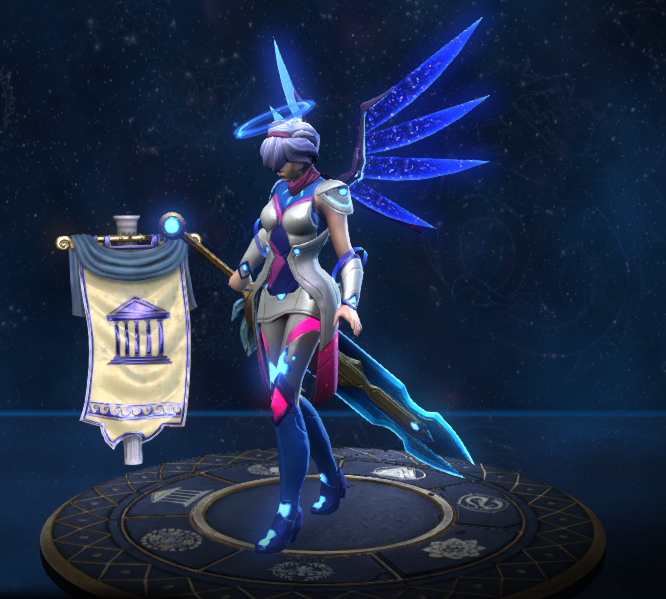 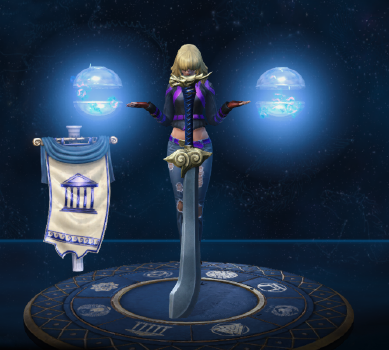 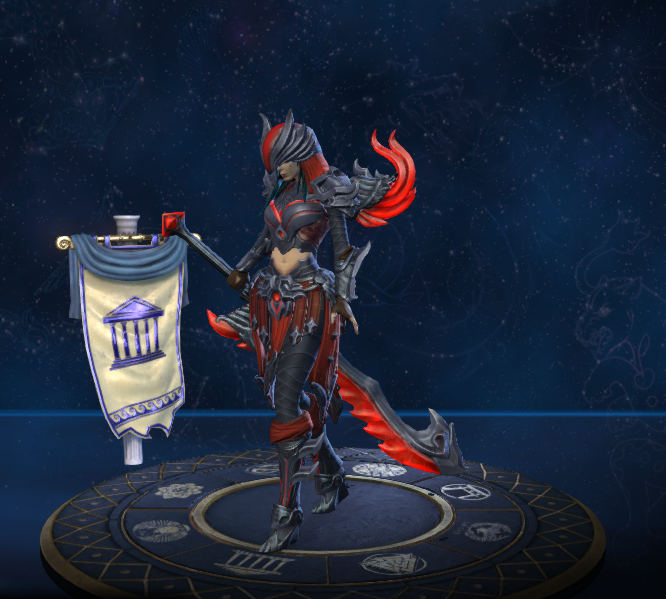 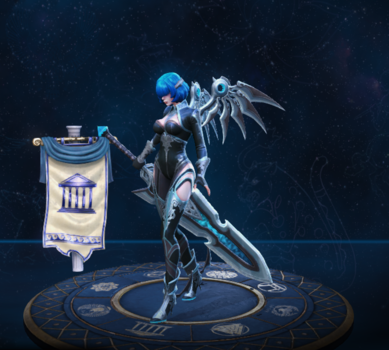 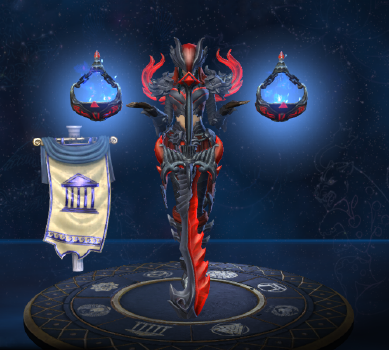 The actress who voiced this skin, Whitney Rodgers, also voiced Ordo Solarus Amaterasu. This skin could be a reference to the Crusaders. 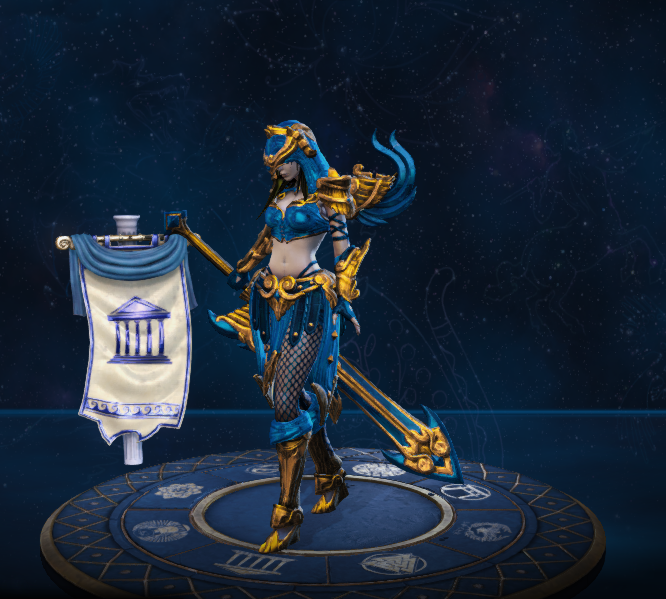 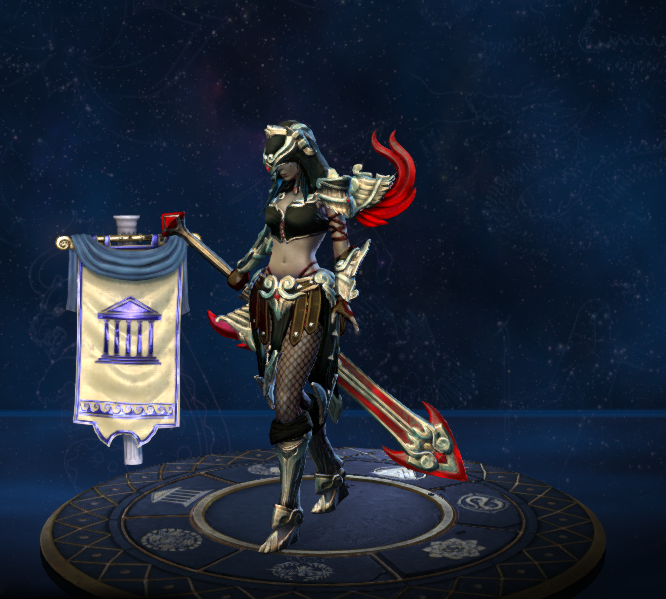 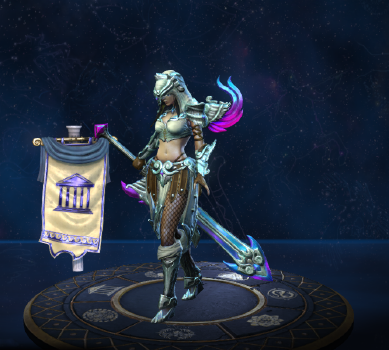 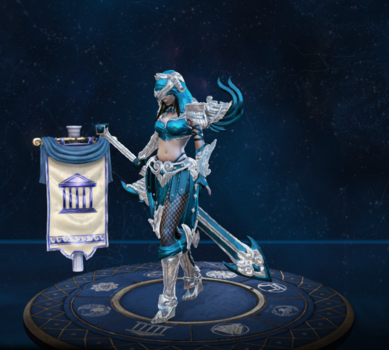 This skin share its theme with Knight of Wisdom Athena, Royal Champion Awilix and Vanguard Hercules. 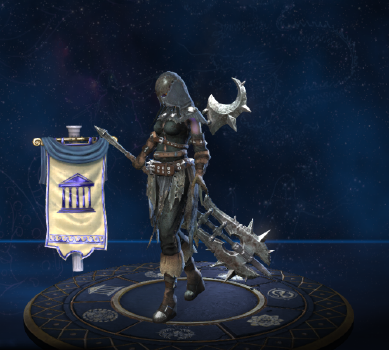 This skins could have been based on the game Nier Automata. 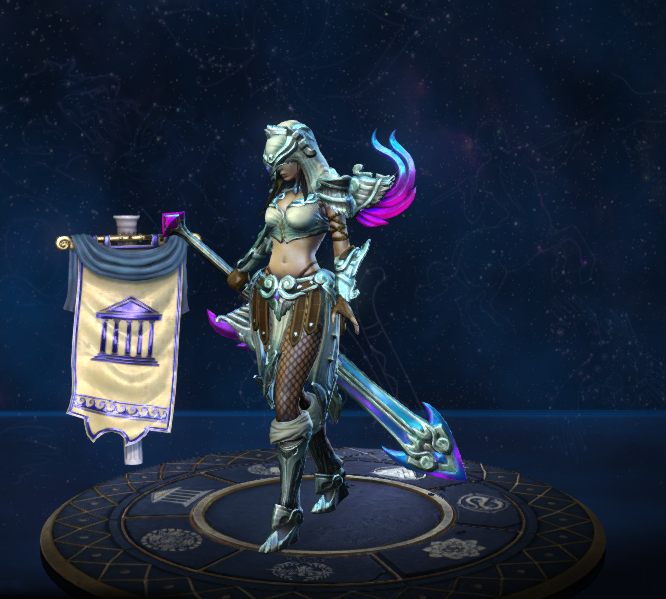 The actress who voiced this skin, Amber Lee Connors, also voiced Scarlet Dangerfield Neith and Spriggan Terra. This skin share its theme with Jackal Tech Anubis, Tremor Tech Cabrakan, Storm Tech Chaac, Dual Tech Hel, Warp Tech Janus, Omni Tech Odin, Reaper Tech Thanatos, Ragnarok Force X Thor and Sky Tech Zeus. This skin is based on a Executioner. 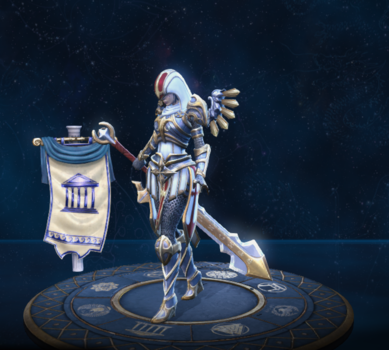 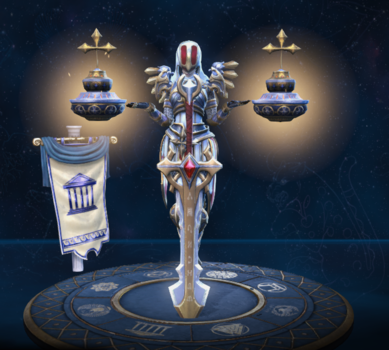 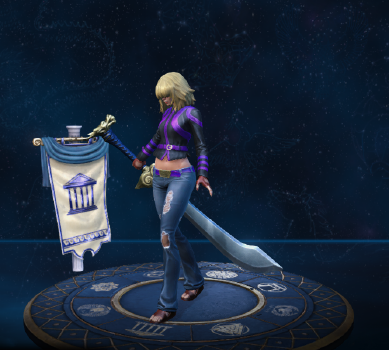 Both Nemesis and this skin were voiced by Amanda Doskocil. 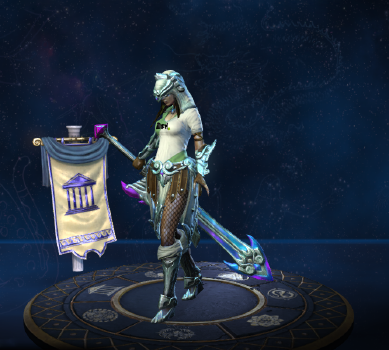 The actress who voiced this skin, Colleen Clinkenbeard, also voiced Arachne and Ne Zha. 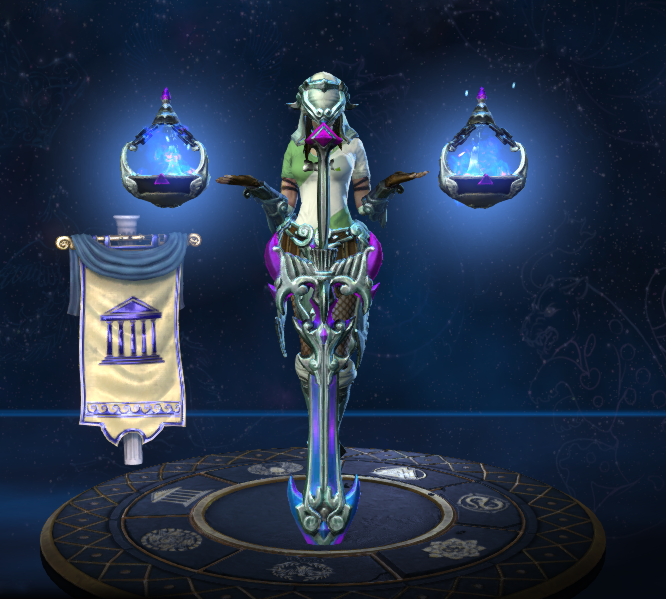 This page was last edited on 22 April 2019, at 17:44.